Friday 1st July 2016 saw the DPA Conservation Volunteers gather at the car park for “Roborough Camp”, marked as “Earthwork” at SX 5054 6413 at the western end of Roborough Down. The weather gods were kind, considering the weather that has prevailed this summer: it was mostly cloudy, fairly warm and almost entirely dry! 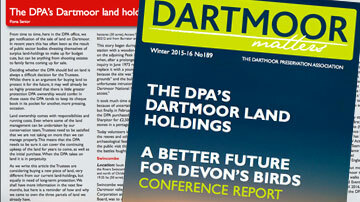 Interestingly, Crossing (in Crossing’s Guide to Dartmoor, page 444) says that the name is derived from “borough”, another name for an earthwork. General view of the “Earthwork”, taken from outside the outer rampart. 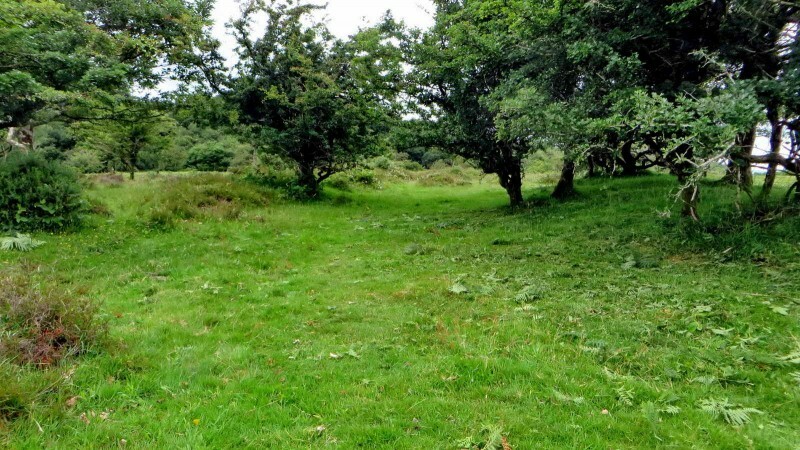 The area where we have been cutting bracken over the last several years now has a much-reduced crop of bracken – it was very much sparser and lower in height than surrounding areas that we do not cut. In fact, the work was done within forty-five minutes! 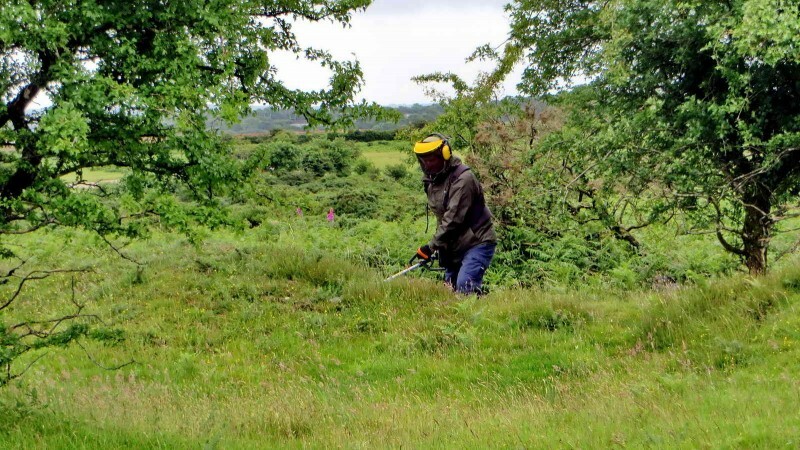 A volunteer operating a brushcutter/strimmer. 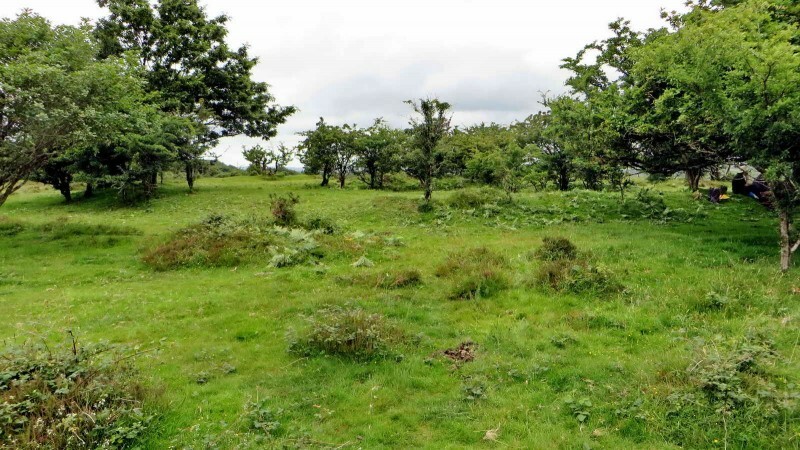 The earthwork consists of two ramparts that are well-separated with a central feature that is now crowded with small trees …..
Part of the central feature, before cutting the bracken. 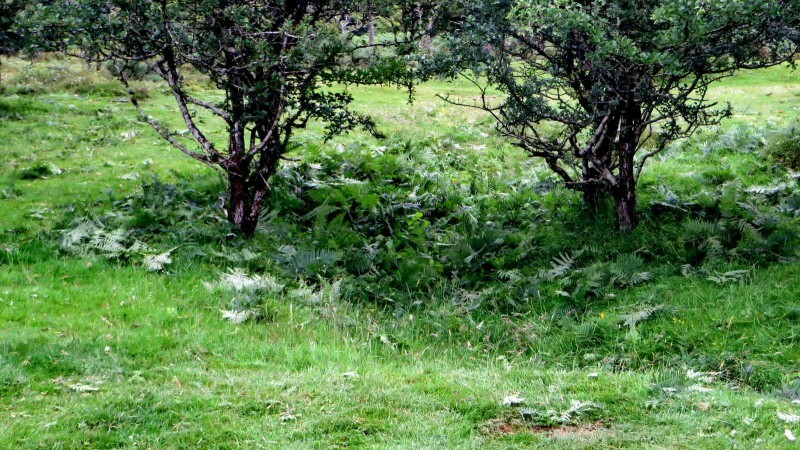 The photograph above shows part of the central area where the bracken has been cleared from the outer area but that inside the area is still waiting to be removed. The area between the outer ramparts. 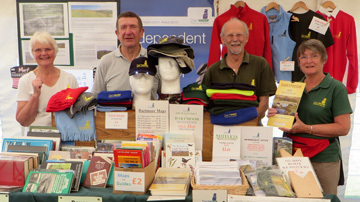 The volunteers today were Bill Radcliffe, Chris Francis, Claude Williams, Derek Collins, Elaine Viant, John Lucas, John Viant, Keith Ryan, Stephen Barrow, Sylvia Hamilton and Val Barns; 11 in total. Once again, we were treated to cake, lemon drizzle from Sylvia! After the earthwork was finished, we walked across the road to attend to a feature that we know as “The Outpost”. 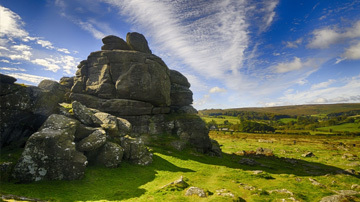 This place is somewhat enigmatic, being of unknown origin and use. It may be a medieval structure or possible something from the Civil War? 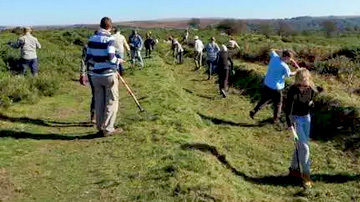 During the final tidying up, some cars were collected to the nearby car park to take the tools to the third car park, ready for use on the leat. A section of Drake’s (Plymouth) Leat, after clearing. As with the earthwork, the bracken on this western end of the leat seems to be becoming shorter and sparser where it is cut each year. This is perhaps not so true of further along where the volunteers may not reach every year. However, as this process continues, it is hoped that eventually the whole length of the leat may show less bracken growth. 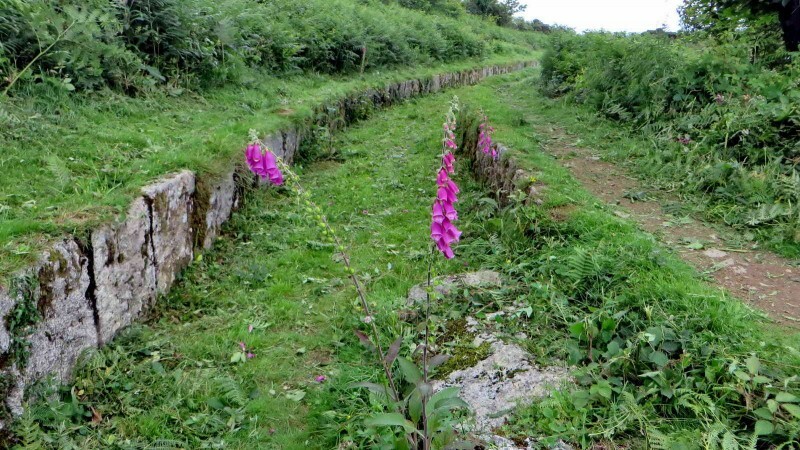 The photograph above shows some falling on of the slabs lining the leat, also some foxgloves that were not cut with the bracken. There is a new Google aerial view of the project that shows a GPS track of the areas and the length of the leat that have been cleared on this visit: Google aerial map. We actually cleared 509 (556 yards) ± 3 metres.